Whether if you’re a diehard fan or an athlete looking for awesome equipment to take your training and game to the next level, there’s a perfect sport subscription box for you! Below, you’ll find great monthly boxes for tennis, baseball, golf, surfing, hockey, fishing, weightlifting, as well as boxes for the diehard professional sports fans. Plus, you’ll even discover some killer coupons and deals to make these sport boxes even more affordable! So with that being said, let’s jump straight to the listing. Here are the best sport subscription boxes that you can subscribe to this month. What it costs: $39.99 a month. What you get: With SportsCrate, you’ll receive a crate of 5-7 team-specific items that you can’t find anywhere else during the season (5 crates between May and September). You can expect to get awesome team gear, collectibles, and memorabilia. Coupon / Buy Now: Join today HERE. What it costs: $59 a chest. What you get: With Fan Chest, you’ll receive a curated gift box of officially licensed sport gear such as apparel, memorabilia, headwear, an exclusive merchandise. This box makes the perfect gift for any diehard fan! Coupon / Buy Now: Get a 10% discount when you subscribe to their newsletter HERE. What it costs: $39.95 a month. What you get: With Gameday Box, you’ll receive 3-7 handpicked items based on your favorite NFL, NBA, NHL, or MLB team. To get started, just select your hat and shirt size, then choose your favorite team and a box will be on it’s way, monthly! Plus there’s even boxes for children (under the age of 13) as well as men and women. Coupon / Buy Now: Join here. What it costs: $31.95 a month. What you get: With Tennis Trunk, you’ll receive awesome tennis gear such as 2 cans of tennis balls, essential court products, as well as products tested and tried by real tennis players. Coupon / Buy Now: Join today. What it costs: $29.99 a crate. What you get: With WWE Slam Crate, you’ll receive 4-6 electrifying items in every crate such as exclusive and authentic collectibles and apparel. What it costs: $32 a month plus $6 for shipping. What you get: With a Gainzbox subscription, you’ll receive a box of awesome Crossfit gear delivered straight to your door every month. To get started, just choose your apparel gender, men or women, as well as your top, bottom, and underwear size. Then choose your duration and that’s it! Coupon / Buy Now: Use the code GZ10 to save 10% on your order HERE. What it costs: $39.99 month. What you get: Inside every MMA Pack, you’ll find great MMA, Brazilian Jiu-Jitsu, Muay Thai, and boxing gear and accessories such as MMA shirts, hoodies, shorts rash guards, and more training essentials. What it costs: $18.97 a month. What you get: Runner Crate is a premier runner box filled with healthy snacks, runner gear, as well as a running challenge where you can earn themed bling. Perfect for both men and women. Coupon / Buy Now: Start running today. What it costs: $49 a month. 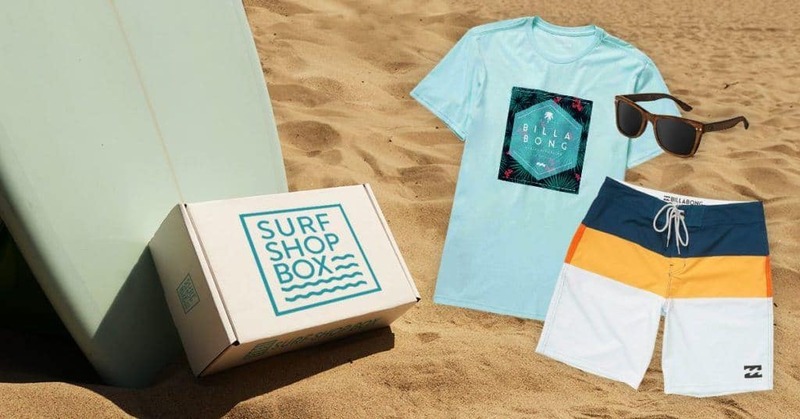 What you get: With a Surfshop Box subscription, you’ll receive a monthly box of premium surf apparel and accessories tailored to your style and preferences. This is by far one of the coolest and most niche men’s clothing subscription boxes available today. Coupon / Buy Now: Subscribe here. What it costs: $39 a month. What you get: With the Sportsman Box, you’ll get premium gear for hunting and fishing delivered monthly. Coupon / Buy Now: Get your box today. What it costs: $29 a month. What you get: With Plate Crate, you’ll get a box of baseball gear, training aids, and other baseball related items delivered straight to your door every month. What it costs: $8.99 a week. What you get: With this subscription, you’ll get custom made MLB baseball card slots and card pack lots delivered to your door each month. Plus, you’ll even get some autographed cards too! What it costs: Prices vary depending on bait box. What you get: With Lucky Tackle Box, you’ll get a box full of the best new baits delivered straight to your door every month. Plus, best of all, you get to customize your box deepening on what you’re trying to catch. Coupon / Buy Now: Get started here. What it costs: $14.99 a month – $29.99 a month. 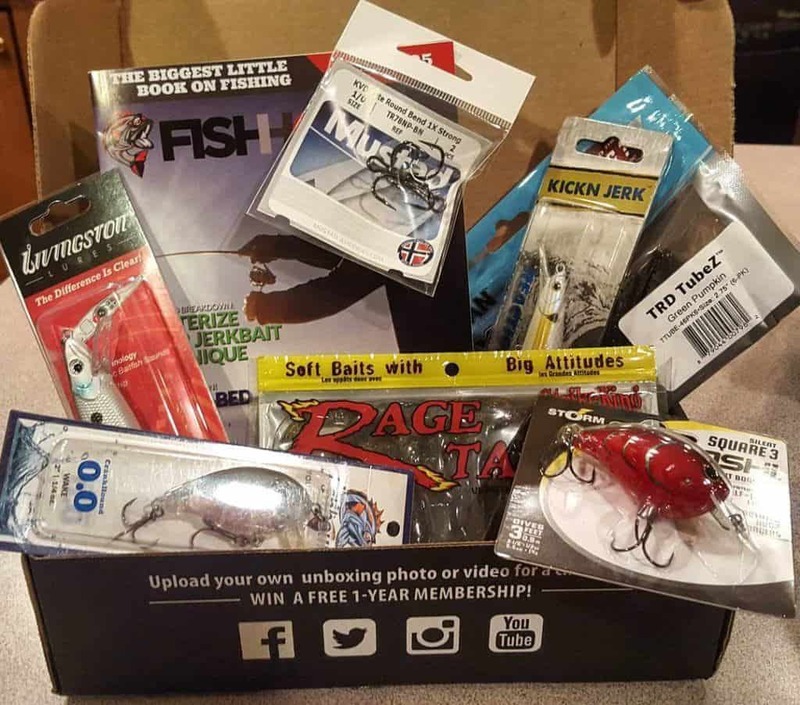 What you get: With Mystery Tackle Box, you’ll receive new fishing gear delivered monthly. Just choose your species type and form there you’ll get an assortment of expert picked tackle as well as other products such as quality lures, soft plastics, jigs, spinnerbaits, terminal tackle, and a fishing magazine. What it costs: $19 a month. What you get: With a Postfly Box subscription, you’ll receive premium flies and fly fishing essentials delivered to your door monthly. Although there aren’t too many options out there, there is one great monthly swimming box that we recommend. What you get: Each month, you’ll receive 5-7 swimming related products such as swimming gear, apparel, lifestyle essentials, body care products, snacks, motivations posters, and more, all of which are perfect for the competitive swimmer. Check out our full listing of golf subscription boxes that you can subscribe to especially if you’re looking for great golf apparel as well as golf balls, tees, gloves, and training aids. Also be sure to check out our full listing of fitness subscription boxes that you can join this month especially if you’re looking for innovative new supplements, high-protein snacks, workout equipment, apparel, and more. Thanks for reading and hopefully you find the perfect sport subscription box possible for you or someone you care about. Get awesome subscription box coupon codes and online deals delivered straight to your inbox. Success! Now check your email to confirm your free subscription. This post contains affiliate links which means that I will make a small commission if you purchase a product after clicking on any of them, at no extra cost to you. Thank you for your support. Anyone know whats happened to My Gameday Box? Have they closed down?